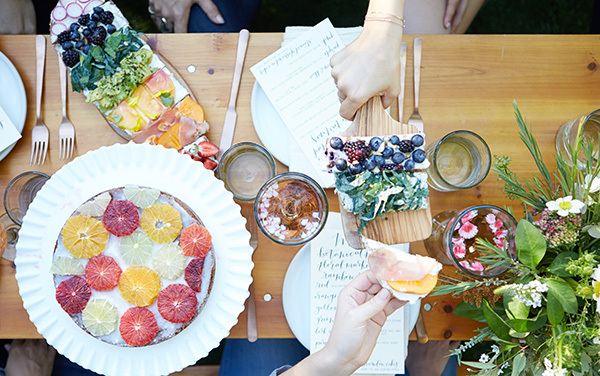 Last week Team LC had the pleasure of attending the sweetest (and most delicious!) 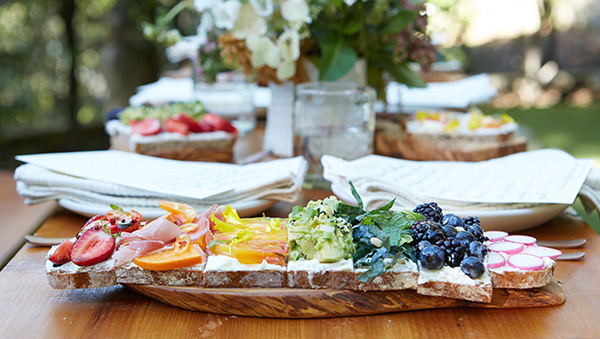 afternoon luncheon hosted by modern luxury designer Jenni Kayne and our favorite food enthusiast Claire from The Kitchy Kitchen. 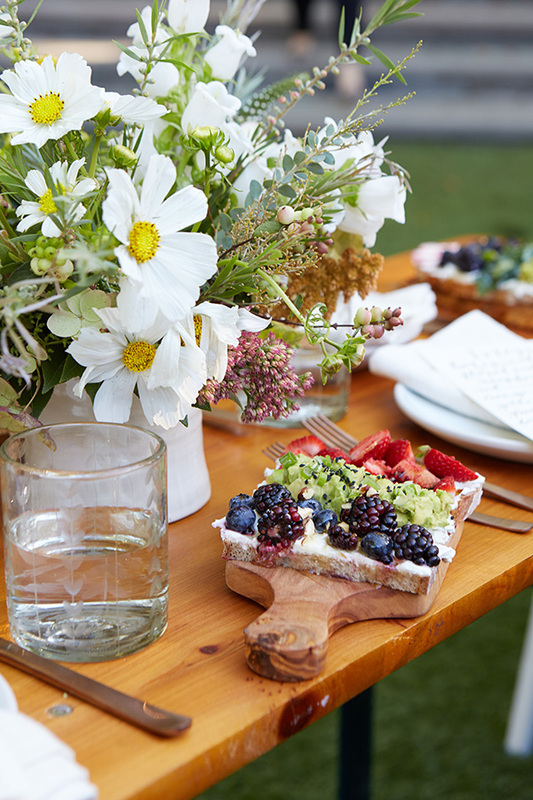 Not only does Jenni create timeless pieces that encompass the Californian lifestyle, but she knows how to host an enchanting afternoon filled with delicious treats and a gorgeous tablescape. It’s all in the details! 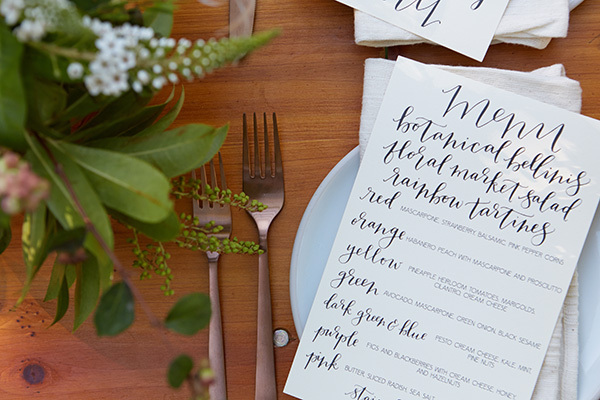 We loved seeing our friend Courtney of PoppyJack Shop’s calligraphy adorning the menus for lunch. 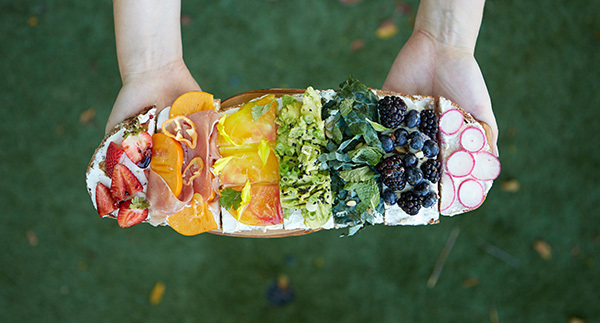 Claire of Kitchy Kitchen prepared a decadent rainbow tartine that was almost too pretty to eat! 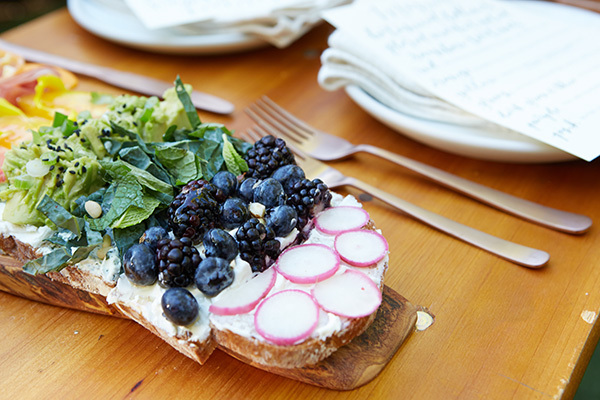 From sweet berries to perfectly ripe avocado, there was something on this tartine for everyone. 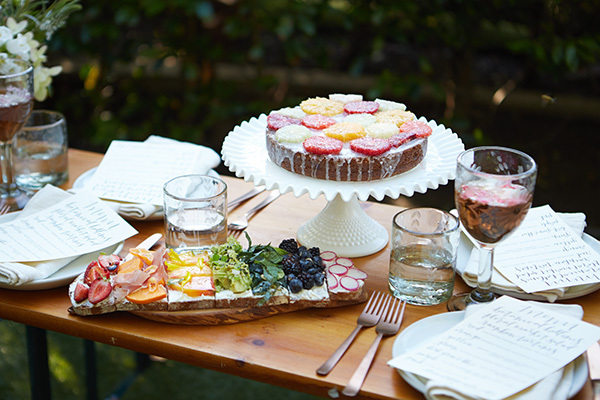 If your mouth is watering, you can see the full step-by-step recipe on Jenni’s blog Rip & Tan. 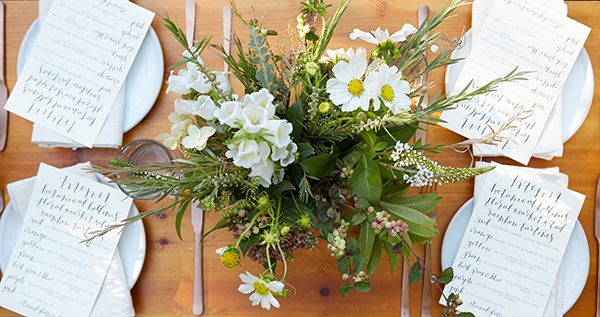 We’re suckers for gorgeous dinnerware. 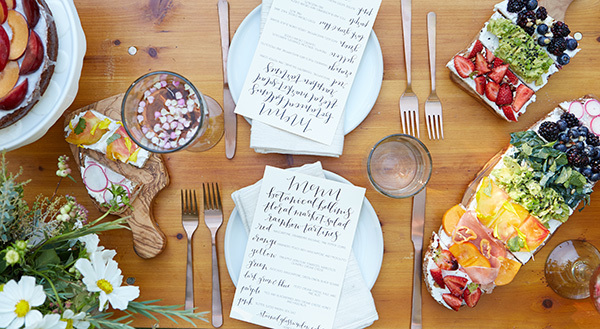 Jenni provided the place settings using her handcrafted matte copper cutlery and porcelain dessert plates while we sipped on the prettiest glasses from The Little Market. 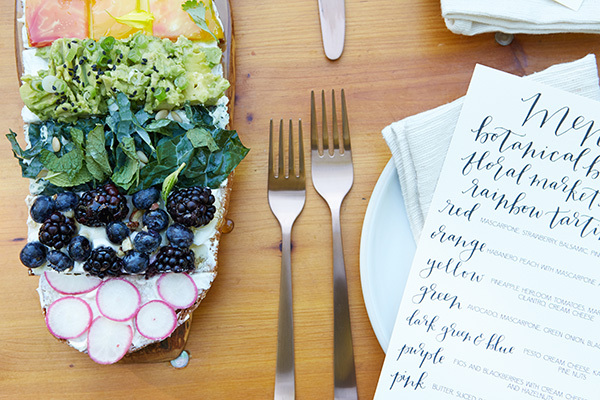 We can’t decide which is prettier, the food or the set up! 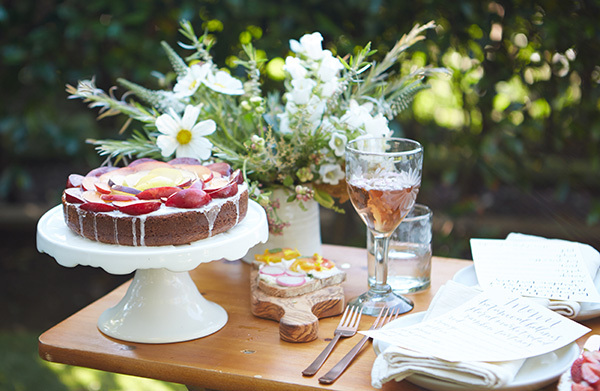 Claire’s citrus and stone fruit stained glass cakes were the perfect combination of sweet and tart. This is one recipe that we can’t wait to try our hand at! 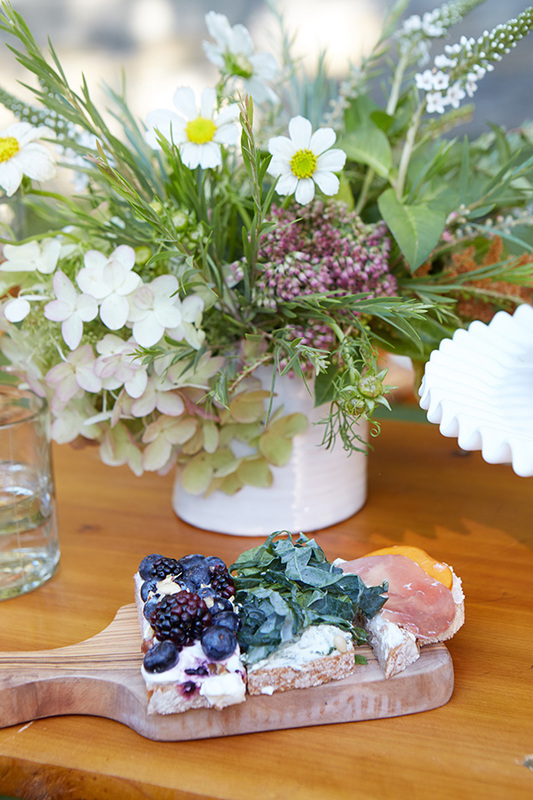 Trust us when we say that you don’t want to miss out on these delicate floral cocktails that Claire whipped up. 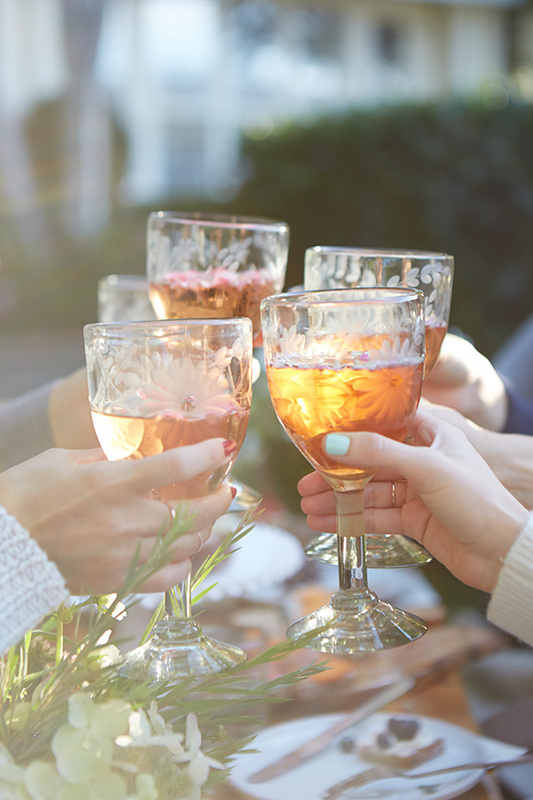 Cheers to an afternoon well spent with girlfriends and good food! Another big thank you to our creative hostesses Jenni Kayne and Claire Thomas! Will you be planning an afternoon with your favorite girls?